This article is written by me for the Sharpologist. Please check out the post here. You’ve read the articles, participated in the forums and have searched for countless hours on the internet. Chances are you have more questions regarding all of the “straight razor lingo” you’ve been hearing during your quest to find the perfect straight razor. Here is a brief guide that explains all the terms you’ve been hearing about conventional straight razors. Hopefully this will answer some of your questions and make your decision a little easier. A “shavette” is probably the most common and easiest to acquire type of straight razor. You can find them at most beauty supply stores and they vary from a few dollars for a basic model to a few hundred dollars for more complex versions such as the Feather Artisan club razor. What makes these razors unique is they feature removable, disposable blades that are easily changed out when they become dull. This eliminates the need for a strop, honing and the time and effort behind them. The best part about using shavettes is the lack of maintenance Shavette razors require no stropping, honing or oiling. You’ll never have to send them out for service and the only thing you’ll have to purchase is blades, so the initial start-up cost is drastically reduced. Popularity has grown in the past 4-5 years and there is now a selection for every price range. Shavettes in all their glory have a dark side. They tend to “bite back” and are very unforgiving due to the thinness of the disposable blades. It’s very important to use caution when using this razors especially when loading and unloading blades. That being said shavettes require a lot of patience and an experienced hand. Be careful!! Many “lurkers” tend to go straight for a shavette when taking the plunge to straight shaving and often have difficulty in the beginning stages. Shavette shaving requires a different technique which compliments an experienced shaver’s routine, but may be unforgiving to the newbie. Check out some videos or any other publications before you take the plunge. Possibly the most historical form of shaving still used today, The Japanese Kamisori straight razor has origins back to the middle ages. This type of razor was originally made to shave the heads of both Buddhist monks and samuri. Today there is only one producer of the traditional Kamisori but there are many artisans that use similar designs. True Japanese Kamisori straight razors are forged with bonding several metals then ground in a unique fashion. The grind of a Kamisori is different from a conventional straight razor as front side (omote) is hollow ground and the reverse side (ura) is only partially ground. Traditionally people only shaved with the Omote side of the razor but today it’s fairly common to use both. Honing these razors is skill in itself so it may be difficult to have the razor serviced. Shaving with a Kamisori requires extra attention but is really enjoyable once you master it. To find out more about Kamisori check out this out. This diagram explains all of those terms you may hear when scrolling through the shaving forums. It’s easy to confuse certain parts with others by their names. Conventional or “folding” straight razors are classified by four characteristics. The actual size of the blade. The point of the blade. Let’s first take a moment to review the different types of metal that construct a straight razor. While straight razors have been made by a multitude of different types of metal there are only two that are mainstream today. Carbon and stainless steel. Let’s go over their major differences. The most popular type by far, carbon steel has dominated the market for decades. While there are different grades and methods of forging razors from this steel, they all hold similar characteristics. Carbon steel produces a sharp lasting edge that provides a very comfortable shave. These razors are easier to hone however they do not retain an edge as long as blades forged of stainless steel. In addition, carbon steel is prone to rust and oxidation, which requires more attention to drying and oiling after use. Experienced shavers know that if you don’t thoroughly dry your razor after use you’ll be welcomed the next morning with a razor that is covered in little black spots that are a real pain to remove. Companies such as Boker, Hart Steel, Dovo and Thiers Issard primarily offer carbon steel straight razors in their line-ups. The popularity of stainless steel straight razors has increased dramatically in the past few years. The thought of never having to oil or thoroughly dry your razor intrigues even the most traditional user. Stainless steel razors tend to retain an edge longer, but are more difficult to hone. The steel tends to be harder and may not be as comfortable to shave with as a carbon steel blade. Still, a properly honed stainless straight will get the job done. Most straight razor producers offer only a few models composed of stainless steel, but is expected to change in the next few years. Currently Dovo and Thiers Issard have stainless steel straight razors in their line-up. Let’s take a moment to discuss the various grinds you will find today. There are approximately 16 different grinds, but we’ll go over the top 4 categories to keep it simple. The grinds are classified by the hollowness of the blade. Essentially, the thinner the blade is closer to the edge, the more hollow the grind. You may hear this term quite often on the forums. A ‘full Wedge” or “flat” razor is ground flat with no concave shape to the bevel of the blade. Identification is quite easy. It’s literally a triangle of steel. Full wedge straight razors were the norm in the 18th an early 19th centuries but became increasingly unpopular with the innovations of hollow grinding. A prime example of a full wedge is the massive 8/8 Wade & Butcher “for barber’s use only” razor you see sky-rocket in price on eBay. Today only a few custom razor artisans produce a true “full wedge” blade. Shaving with a true “full wedge” straight razor is quite an experience. The razor produces very little noise and will cut through even the thickest whiskers. Most will be well over 100 years old so the history behind them is quite intriguing. Wedge blades also retain sharpness for a long time. These razors provide a unique shave that may not be for everyone, especially for those just starting out. They tend to have a longer learning curve then hollow grind razors and are difficult to hone. Many honing services refuse to work on wedge blades which makes servicing them difficult. Be cautious when bidding on razors that are advertised as a ‘full wedge’ on eBay as many of them are partially hollow ground razors advertised incorrectly. This grind consist of ¼ of the actual blade being ground in a concave shape. These razors are sometimes inadvertently called a “partial wedge” which then gets thrown into the wedge category. This makes identification for this category the hardest. The shave with this grind tends to be favored among those with heavier beards, and those who are starting out as the blade is very forgiving. Many vintage razors from the 19th and 20th centuries were made with this grind. Today you can find many custom razor companies such as “Hart Steel” that produce razors in this fashion. These razors provide a similar feel as a “wedge” blade when shaving without all the headaches. They are easier to find, easier to service and easier to use. Quarter-hollow grind razors share a few of the same cons as wedge blades just on a shorter level. Learning curve is significantly shorter but still longer than its hollow counterparts. If you really want to try a wedge style blade then this is the grind for you. A true example of the best of both worlds. A half-hollow blade is slightly concave right down the middle. These razors tend to be difficult to find in both new and vintage forms and can be hard to identify. The blade is very forgiving and easier to hone then that of a quarter hollow. Companies such as Hart Steel, Dovo and Thiers Issard still produce half-hollow razors today but with limited selection. Shaving with a half-hollow blade is a great experience if you want to try a heavier razor but still enjoy the maneuverability and sound of a hollow-ground blade. By far the most common grind out there for razors produced in the last 100 years. A full hollow blade is fully concaved and tends to achieve the sharpest edge possible. These razors are far less forgiving than its predecessors and requires more caution when learning. Some hollow ground razors with a deeper grind are called “extra hollow” or singing” razors by the sound unique the razors make when in use. The best way to identify a hollow ground razor is to strop it. If it sounds like a sword coming out of a sheath (like in a movie) than its hollow ground. Boker, Dovo, Thiers Issard, are just some of the manufactures producing hollow ground razors today. Full-hollow straight razors are the majority of what’s produced today. These blades can achieve a level of sharp that our ancestors only dreamed about. A properly honed full-hollow straight razor can be the most comfortable shave you’ll ever experience. Once you’ve determined the grind then it’s time to select the size of the blade. Size is determined by the width of the blade in an easy to read fraction such as 4/8, 5/8, 13/16 and so on. So now the age old question “What does the fraction mean”. The “fraction” incorporated with straight razors represents the size of the blade divided into one inch. The most asked question is “what’s the difference between widths?” The answer is a tad difficult to answer. Many experienced users feel that larger widths work well with heavier beards as the added weight and size plows through whiskers like a hot knife through butter. Some will also argue that a narrower blade is easier to maneuver and safer to use. “The wider the blade the harder to maneuver in those hard to reach areas (such as under the nose) but as long as the razor is honed properly your shave will be enjoyable”. That’s why novices and pros agree that a 5/8 or 6/8 size razor is good for any experience level. Remember it all depends on personal preference and as long as the razor is properly honed then the shave will be enjoyable. What works for you may not work for everyone else and vice versa. 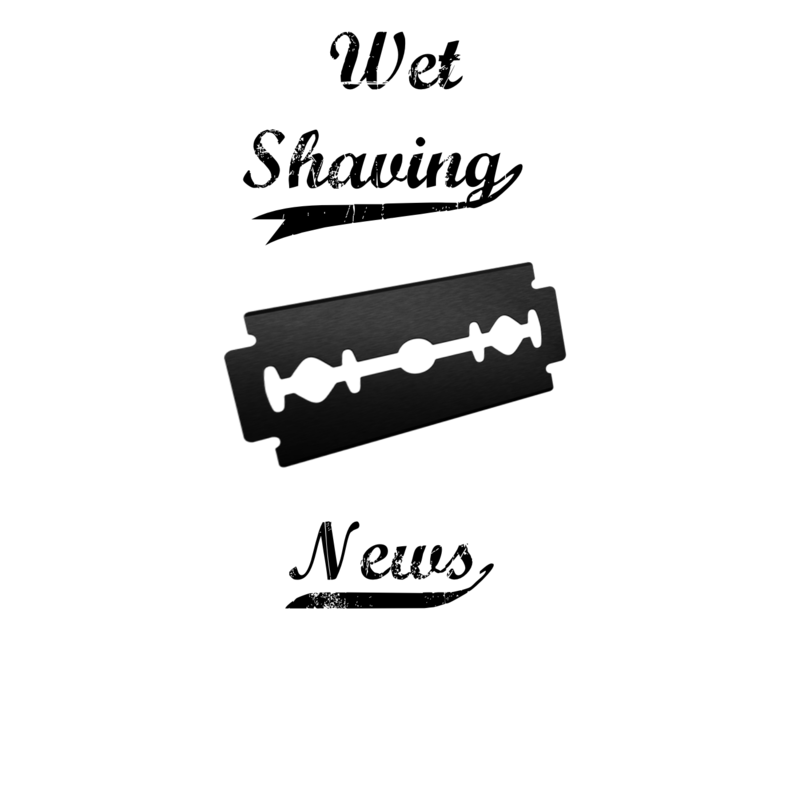 Finally let’s take the time to discuss the various points of conventional straight razors. We’ll discuss the top five points for arguments sake. The “spike point” requires the most amount of attention to say the least. This is the most dangerous of the five. Why? The end of the toe comes to an extreme point which resembles a sharp spike which can (and will) nick you if you’re not paying attention. Use extra caution when shaving with this type of razor as it tends to “bite” when you least expect it. With the danger comes a pro that the other razor points do not possess. Spike points are the best at shaving those hard-to-reach places such as under the nose or under the ear lobe. The smaller point can maneuver anywhere. Round tip straight razors are considered to be the safest. There is no point at the toe of the blade that can nick you and maneuverability is much easier especially by the nose and ears. A perfect choice for the beginner and experts alike. There is only one problem with rounded points. It’s difficult to use when trying to perfectly line a beard or goatee as the point does not get as close as some other. Most straight razor collectors have several of this type in their collection. This point combines the best features of the round point and maneuverability of Spanish point. Shaving with this type of razor is truly a joy. Its smaller diameter tip makes it easier to line and tapper facial hair as well getting to those harder to reach areas. The rounded point keeps accidental nicks to a minimum. Finding a vintage French point may be difficult as these razors were produced in limited quantities but there are many artisans currently producing this particular type as interests have begun to grow. There are a few misconceptions in the actual purpose of the barber’s notch point. Some say that the cutout of the blade is used to shave the indentation between your nose and upper lip. Some say it’s for maneuverability by the nose and ears. Some say it’s to remove lather by growths (pimples, warts etc.). The actually purpose of the Barber’s notch point is to allow the “barber” or user easily open the razor. Whatever the reason behind its existence, barber’s notches are always popular with users and collectors alike. Spanish points have a somewhat rounded tip that makes a really interesting shape. It’s similar to a barber’s notch with a cleaner, more subtle look. Many collectors will argue that Spanish points are the best looking most desirable blades because of their clean lines and awesome look. Use caution when stropping these blades as they tend to “bite” and may damage your strop.